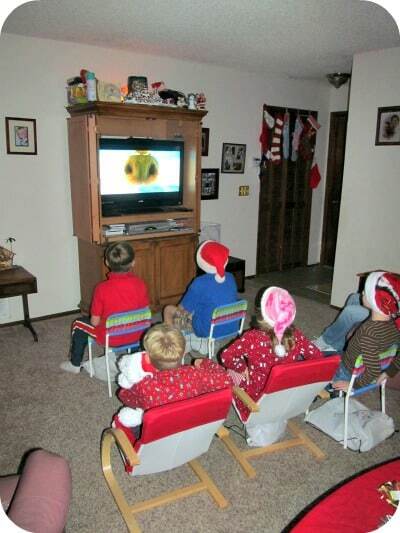 On Friday, December 7th we had the pleasure of hosting an Ice Age: Continental Drift Blu-Ray Screen Holiday Party and it was a blast for the kids and grown-ups alike. 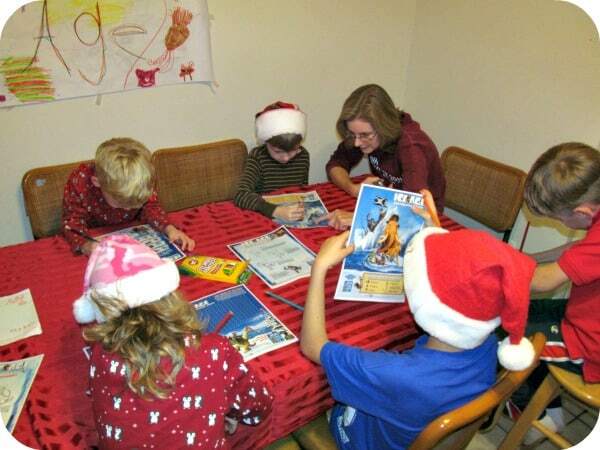 The party was held to celebrate the release of Ice Age: Continental Drift on Blu-Ray on December 11th, 2012. Our party started with my children creating their very own Ice Age Party “Welcome Banner” to greet their guests as they arrived. When their friends and friend’s parent had arrived for the party we enjoyed a tasty pre-screening dinner which included gingerbread cookies, pizza, lemonade and a candy treat. 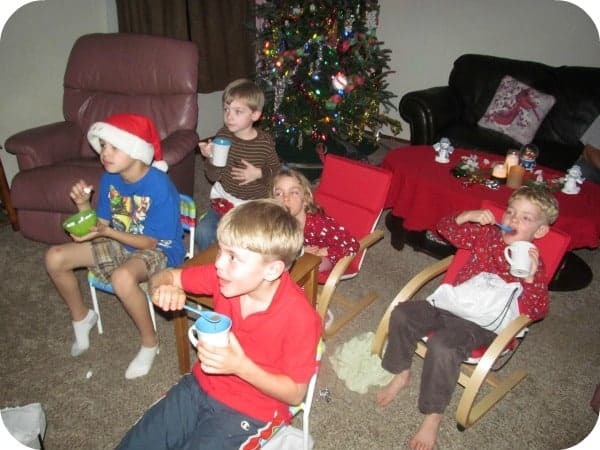 The kids were sure to save room for delicious peppermint hot chocolate which I served in a neat Ice Age themed cocoa mug that came with its own spoon/holder on the side of the mug and buttered popcorn during the movie too! Before starting the much anticipated show the kids enjoyed playing fun Ice Age themed games and activities including their favorites such as the Ice Age Holiday E-Card, Ice Age Sudoku, dot game and lessons on how to draw their favorite characters from the movie. All the kids worked together to create a “movie theatre” in our living room where we gathered to watch Ice Age: Continental Drift on Blu-Ray. We are huge fans of the previous Ice Age movies so I was excited to watch the movie but cautious because in my experience the sequels are not normally as good as the first movie. However, I am thrilled to report that Ice Age: Continental Drift is an exception because it is such an entertaining movie full of adventure and laughs for both the kids and the grown-ups. In fact, I think the parents in the room were laughing out loud as much as the kids. The children were riveted to the movie and it ended with a round of applause at the end. My five year old son declared it “the best movie in the world” and immediately wanted to watch it again! 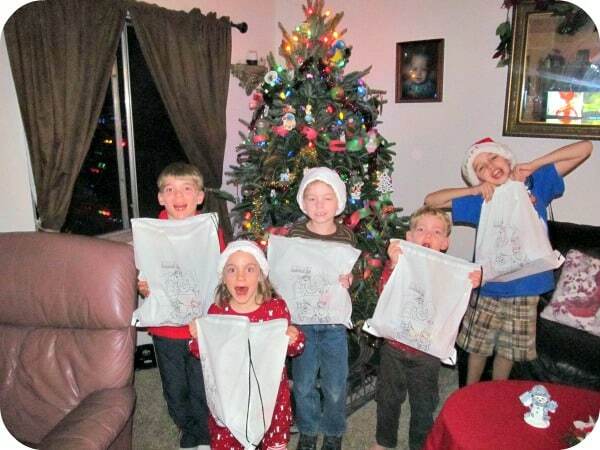 To conclude our party all of the children received an Ice Age Color Me Drawstring Backpack set (markers were included) so they could personalize it at home. The backpack was packed full of goodies for our guests including the hot cocoa mug, a themed cookie cutter set, photo ball ornament s and extra activities sheets to share with their friends and family. My children and I had so much fun connecting with our friends at the Ice Age Movie Screening Holiday Party and it was a fun time for everyone. You can have your own Ice Age Holiday Party or simply cuddle up together and enjoy Ice Age: Continental Drift on Blu-Ray, DVD and Digital High Definition. It is sure to be a hit this holiday season and I highly recommend it for kids of all ages! Ice Age: Continental Drift on Blu-Ray is available for purchase at retailers nationwide, including Walmart. You are invited to visit the Ice Age Movie website to learn more, shop and check out the fun extras. so fun! I wanna watch the movie again now! Way to raise the bar on movie night! Looks like everyone had a lot of fun!